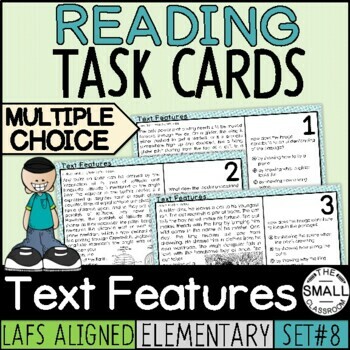 These 20 task cards are perfect for FSA (Florida Standards Assessment) or standardized test prep. 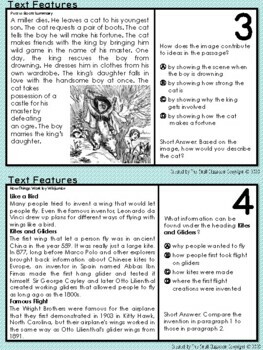 They use excerpts from popular youth books and engaging topics to help engage your students as they practice answering FSA style informational text questions. The cards contain a short excerpt and uses the following: multiple choice, A/B questions (evidence-based selected response), multiselect, selectable text, and table matching. 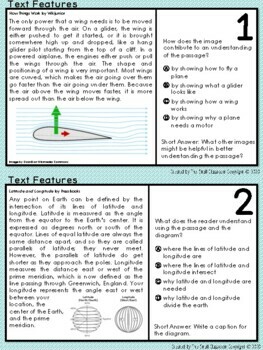 They can be used in small groups, literacy centers, stations, partner work, intervention groups, and much more. You could also use one card at a time with your whole class as a warm-up, mini-lesson, or exit ticket. 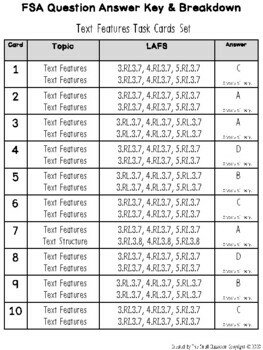 An answer key is included with the LAFS, topic, question type and student recording sheet.